PDM tasking – why is this so important?! We all know that it is important for the document management system to be efficient and user friendly at the same time. Generally all CAD document management systems can generate a PDF, DXF, STEP or a similar file with help from tools for tasks or publishing or post-processing. However, these tools should not be taken merely as comfortable features that exist to reduce the workload of the engineering team. Unlike regular industrial robots, which can be seen and therefore often become objects of admiration, the Task Tool is a hidden software robot (a bot) that gets treated as if there were nothing to maintain. However that is not the case and in this article I’ll shed some light on the subject to help you better understand the subtleties of this seemingly simple topic. Generally speaking, the purpose of the document management system is to help the engineering team keep processes compliant. A simple tool for this is to set up a workflow. When done correctly, the entire team will understand the state of the files and generally follow the process. This of course requires a common understanding of the purpose of the PDM system within both the engineering team and the company. Imagine a company where the engineering team follows a workflow in which the PDM locks the files for editing once the drawings or models are marked as “Approved” or “Released”. When there is a need for approved drawings, there is usually a need for supplementary file types such as PDFs and DXFs, but assuming that the average supply chain team will go into the PDM by themselves and understand the engineering topics is a bit far fetched. To make PDFs available for all other teams, the need for a trackable standardised process becomes apparent and tasking is the only realistic solution. When and where to run a task? 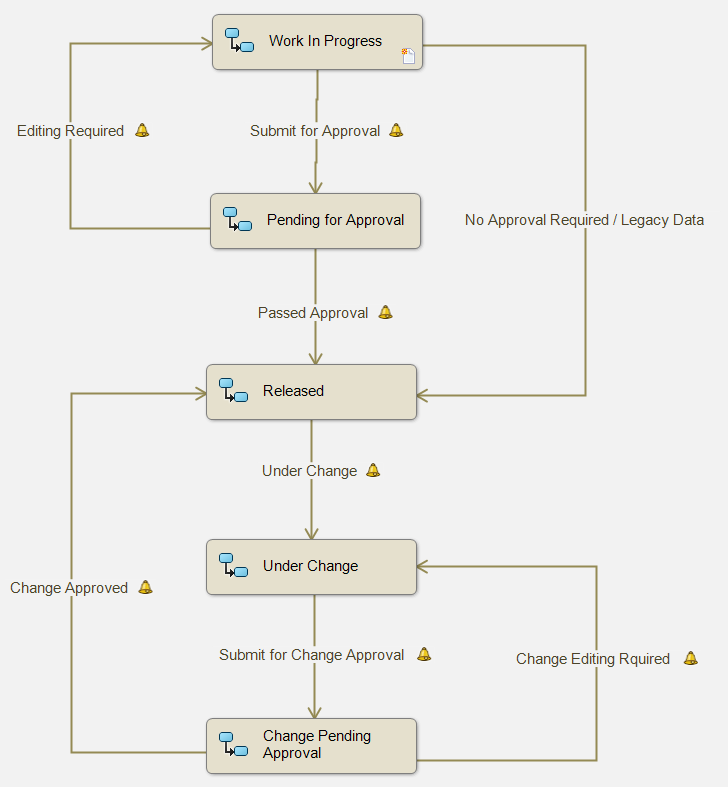 The best practice for running an export task would be to run it in the workflow right before it gets “Approved” or “Released”. However, the problem with this setup is that it offers basically no option to filter the tasks in an easy way. This becomes an issue when, for example, one wants to run STEP export only in cases where the “Sheetmetal” variable is 1 (it’s 0 by default). There are options to make a different approach for different file types but that’s all. When making a minor change within the workflow loop that will not change the revision, a task will overwrite old exported documents. In all other cases a new revision will be generated. Should you run tasks manually? When it comes to running tasks manually, there’s always the dilemma whether one should allow this or not. 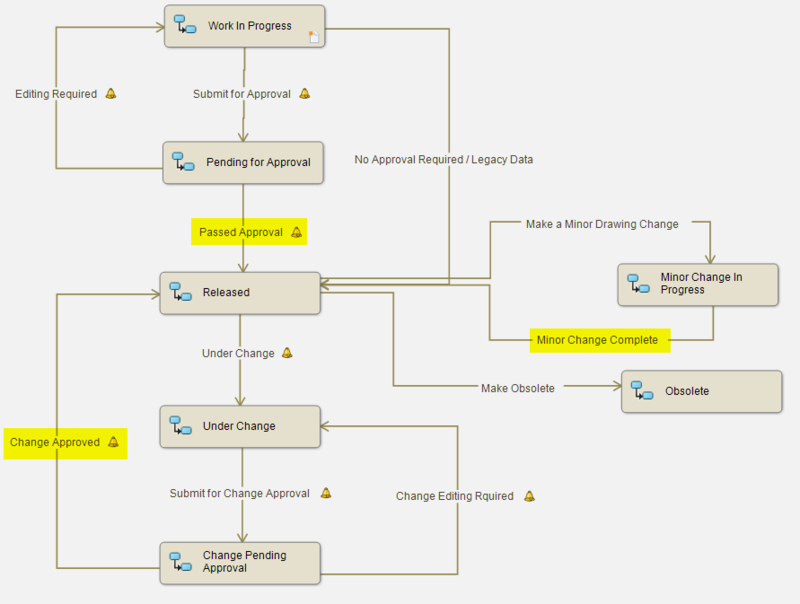 When looking at it from a purely process compliance point of view, then it’s better to run tasks only via the workflow. However, since solving real life situations is more vital than having perfect plans, there may be a need for pre-approved PDFs. However, please avoid a situation where the users can, for example, generate PDFs with an “Approved” state in the title block when the drawings are not yet approved since the engineering teams lose control over the files once that happens! Instead, the supply chain can simply share the drawings with the vendors. I recommend having the manual option for only running an export task when identification has been set up to show minor revisions in the title block (for example A.01, A.02, A, B.00, B01, B etc). This ensures that the real release and the manually generated drawings can be differentiated. Whatever system it is that you will be building, keep in mind that tasking is the tool that ensures the identity of the approved and exported documentation. It is not only a tool to reduce the work load of the engineering team via basic automation. These automation tasks work together and are all an essential part of the PDM system. Without workflow and tasks a PDM system becomes little more than a joke and I’m guessing that’s why Solidworks added the PDF export task to the SW PDM Standard in 2018. Good article and I agree 100%. To add on top of that an area that is always of concern which should be addressed by the CAD Admin as well is the old thinking that a manager will not sign off the drawings without seeing it “exactly” as it’ll be when released (meaning the rev in the corner and the rev block). And since you cannot create a PDF (& share it) before it’s released there is a conflict. To take advantage of the “Bot” task process, many of our customers have asked that we setup task to run and create a PDF as the drawing as it’s entering the Pending Approval state. That’s a problem! So as a solution often customer settle on a PDF at that point with everything on the drawing (so they know it 100% complete) except we add a watermark to the drawing, typically a note that says something like “Do Not Manufacture to This Print” or “Unofficial Release”. This takes advantage of the automated task process within PDM but also satisfies the dilemma of needing a completed drawing to approve.